ZIMBABWE – Former Midlands governor Cephas Msipa has said President Robert Mugabe is central to the factional wars playing out in the Zanu PF party and the fights will not end without an orderly and predictable plan to transfer authority. The observations are contained in Msipa’s memoirs titled In Pursuit of Freedom and Justice launched on Thursday in the capital. Mugabe, in power since Independence in 1980, has already been endorsed by sections in Zanu PF as the ruling party’s candidate for the 2018 elections despite his growing age and increasing frailty. “I, therefore, maintain that the people of Zimbabwe deserve better institutional arrangements than are currently on offer. The Zanu PF constitution is a document of national interest that must be amended to allow for an orderly and predictable transfer of authority,” Msipa, who served as a Cabinet minister in different portfolios before quitting active politics, said. He said it was not clear how the party would judge if one has unbridled ambition to take over power from Mugabe, an accusation that caused the sacking of former Vice-President Joice Mujuru and other senior officials, including Rugare Gumbo and Didymus Mutasa, from both government and the party. “Meanwhile, the party’s own methods are not crystal clear. For instance, how does one measure the extent of unbridled ambition when attempts by ambitious aspirants to position themselves strategically for the eventual succession are met with hostility? “We need to find a way to reduce the tension in Zanu PF succession politics as well as in our body politic,” the sharp-tongued Msipa added. He described the sudden fall of Mujuru and her allies as a bizarre replay of her dramatic ascendency to the position of VP in 2004. 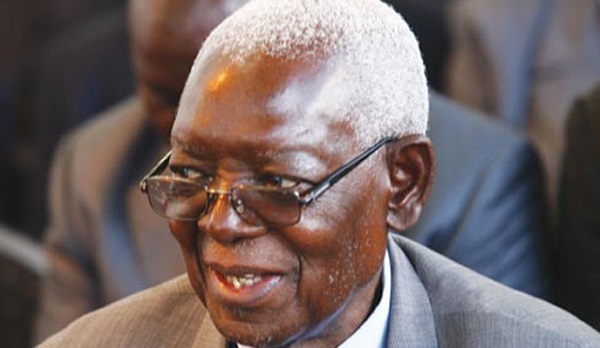 Msipa, who at one point claimed to have talked to Mugabe to consider identifying a successor, also wrote about several other issues, including the genesis of the indigenisation concept, his upbringing and contribution to the country’s development and the political conflict in Matabeleland region that claimed almost 20 000 lives, among others. He also bemoaned the involvement of the military in elections where they threatened villagers so that they voted for Zanu PF. Speaker after speaker spoke glowingly about the courage exhibited by Msipa in penning a frank account of his life. “Dr Msipa’s book provides us politicians, policymakers, academics, students of history and committed Zimbabweans with a reflective mirror to review the moments that have defined the evolution of our nation’s political, economic and social realities over the past five decades,” Midlands State University lecturer Terrence Mashingaidze said. Rugare Gumbo, spokesperson of People First, said Msipa was a well-respected politician whose title summed up the struggle that Zimbabweans were still going through 35 years after independence. “We are happy that he sat down to write a book. He is honest and a respected person, unlike other corrupt politicians. I want to urge all our liberation fighters that they have a responsibility to tell Zimbabweans the truthful account of the liberation war,” he said.